Let’s Make a Case for Fall! We at Jerry’s Artarama get pretty excited this time of year. 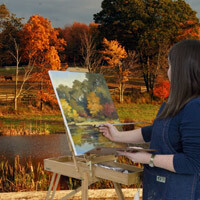 Art lovers across the country should know that Fall is the best time for Art. Outside, a crisp breeze is blowing and the leaves are turning the best colors. For of each of us, it’s time for us…..